Wolves were almost all gone from the United States by the time the Endangered Species Act was passed in 1973. Only a few hundred wolves were left in Northern Minnesota. 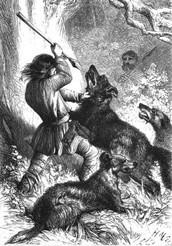 Dating back to the 1630’s with the Puritan settlers, people wanted the wolves out of North America. Puritan settlers paid bounties for wolves and Federal bounty programs on wolves continued until 1965. Now there’s an argument that reintroducing the wolf populations can preserve the biodiversity of regions, including New England. Moose roam the forest and consume large amounts of plant material and can effect the regeneration of forests. Controlling the moose population helps maintain balance in the forest. 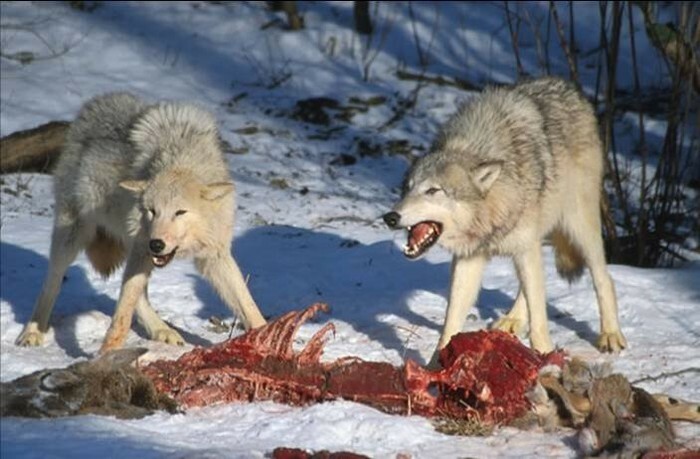 Wolves eat moose, deer, and beavers; the population has changed since the wolf was eliminated from the Northeast. Preying on these animal populations helped to control them which impacted their effect on the forest. 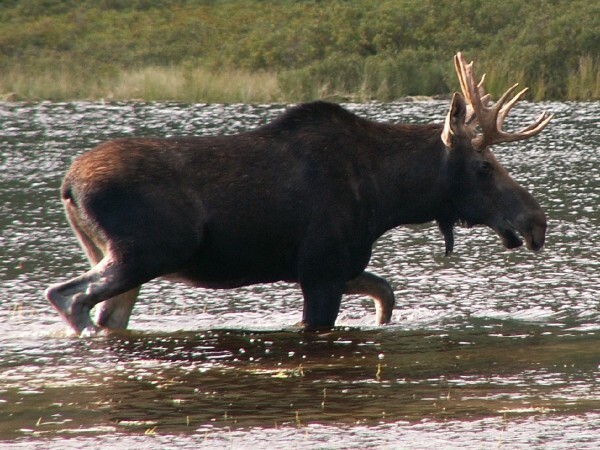 Fewer moose, deer, and beaver helped to protect smaller creatures and helped to keep the forests healthy. 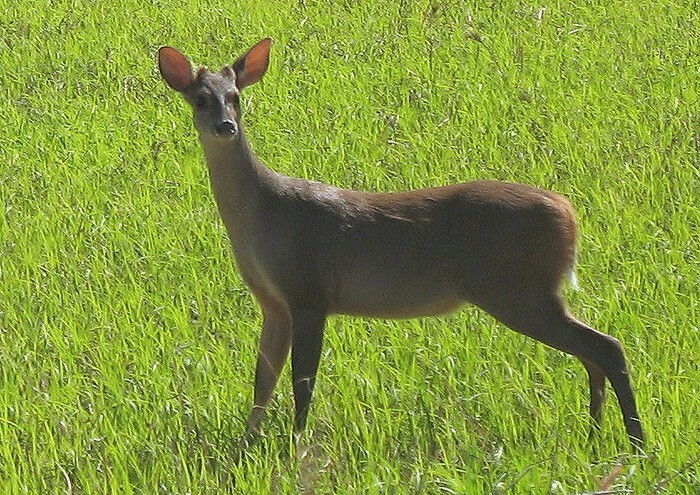 Deer roam the forest and consume plant material like the moose. Too many deer can impact the balance in a forest. What happened to the wolves? Wolves keep things in balance in an ecosystem. When they kill animals like moose and deer, they can control those populations. What they don’t eat gets left in the woods for scavenger animals like bear, ravens, and eagles to eat. More wolves also means fewer coyotes who eat small rodents. Rodents are food for other predators in the forest. They have to be reintroduced where the habitat can support them. The U.S. 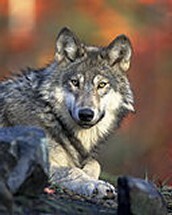 Fish and Wildlife Service came up with a plan to reintroduce the wolves to New England. Maine is considered a good place because it has a large moose and deer population. Hunters worry that bringing wolves back would be bad for hunting, and people are fearful of wolves. 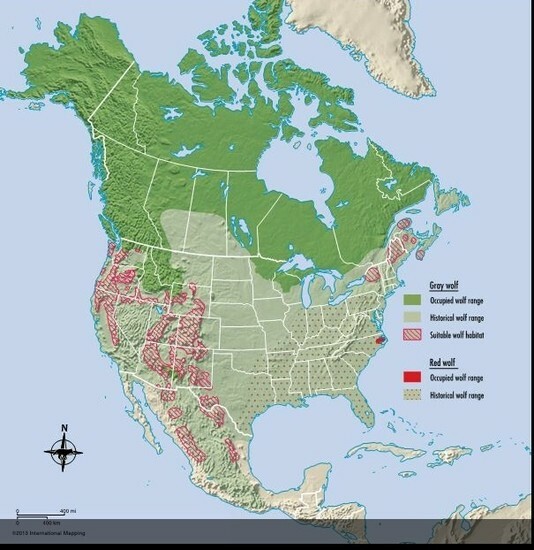 Wolves live in Canada and migrate down occasionally. Northern Maine and New Hampshire are ideal for wolves. We killed off the wolves and changed the balance of our ecosystem, if bringing them back we can restore it in a way safe to people now living in New England we should. Wolves once lived all over North America but were almost all killed off by the 1930's. Today they only live in Canada, Alaska, and small areas of Idaho, Michigan, Minnesota, Wisconsin and Wyoming. There is discussion to reintroduce them to the Northeast and restore the ecosystem to it's original state.